Combine the flour and seasoning together, ensuring the seasoning is well incorporated. Add the chipotle Tabasco to the buttermilk before adding the chicken wings. Cover the wings completely in the buttermilk before dunking and coating well in the seasoned flour. Heat the oil for deep frying. Carefully drop the wings into the hot oil and deep fry turning over every 5 minutes if needed. After about 15 minutes the wings should be golden brown and crisp. 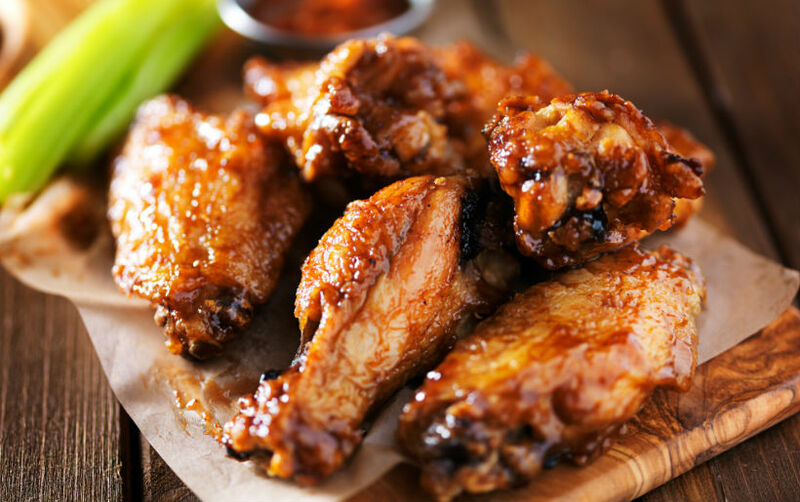 Remove the wings from the oil and place on absorbent kitchen paper to drain off any excess oil. Heat a pan over a medium heat. Add the zest and juice of the Clemengold to the pan along with the maple syrup and reduce slightly until it becomes slightly sticky. Add the Tabasco chipotle and black pepper along with the wings and toss to coat well in glaze.